ÅSNES – The best skis for polar expeditions? Åsnes is probably the ski brand- and builder in the world who has had its skis on most polar expeditions from the 80’s up until today. We have supported countless expeditions to Spitsbergen, Greenland, Alaska, Canada, to the South and the North Pole. The skis have also been used so many times to ski Norway lengthwise that it is no longer possible to keep track of the count. Experiences and testing from expeditions have given us what we claim are the best mountain BC skis on the market. We’ve collected the most interesting events and expeditions here, so it’s easy to find for anyone. When we gathered this information, we had to make a deep dive in Åsnes history and double-check everything against safe sources from the Norwegian Polar Institute and sources outside the country. Therefore, this is not a complete overview, but we think it is interesting for those who are interested in Norwegian polar history and skiing tradition. In the 80’s and 90’s Åsnes skis was the only ski that several expeditionists trusted. In 2011, the anniversary of Amundsen’s trip to the South Pole, there was several expeditions to the South Pole. The Norwegian Prime Minister skied on Åsnes Skis to the pole on the occasion of the jubilee. The Telemark riders in The Åsnes Team skied down the landing slope at the opening sermon at Lillehammer during the Olympics in 94, they skied on specially designed Åsnes skis while The Royal Norwegian Crown Prince lit the fire. You can still find the clip in NRK’s archives (13min into the video). Per Einar Roth (born 1959) was the team leader of the Åsnes Team and was together with Åsnes the center in gaining momentum in the telemark environment and restoring the telemark race “Galdhøpiggen Ned” in the 80’s and 90’s. SINTEF established the early 1990’s “Health, Protection and Survival in the Cold” course, a multinational collaboration that gave great attention to Åsnes ski because Åsnes was contributors. The course quickly became the standard of training in winter survival and was adopted by most European / Western countries, especially in the defense industry and at the state level. Pen Hadow equipped a large number of British polar expeditions: He started the well known “Polar Travel Company” that equipped expeditions, sold Åsnes skis and organized many of the most famous British expeditions in the 90’s and 2000’s. Expedition to the South Pole along Roald Amundsen’s old route – Monica Kristensen Solás. One of the goals was also to find Amundsen’s tent on the South Pole. This could be presented during the Olympics at Lillehammer in 1994. Due to storm she and colleagues had to turn around at 86 degrees south. 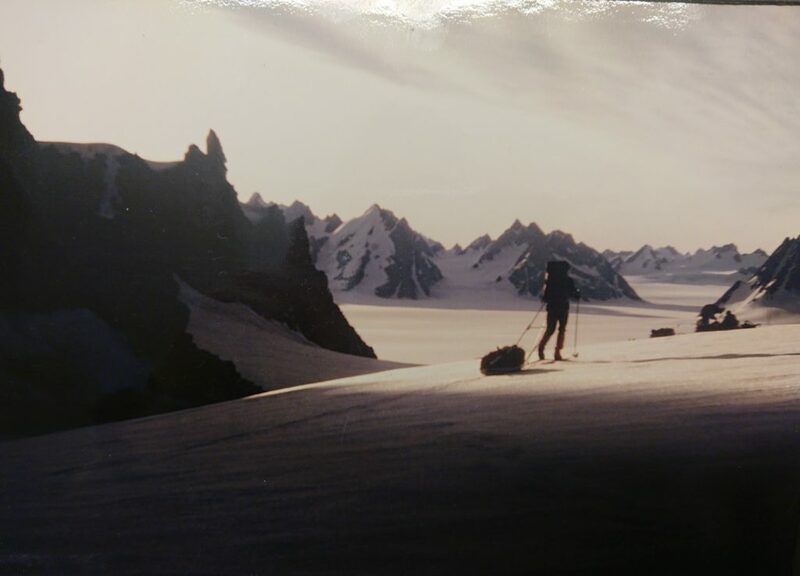 During a new expedition in 1993, a new attempt was made without success. British Universities East Greenland Expedition (July-September 1986) – Duncan Bond, Greg Englefield, Jim Lowther, Lewis Jones. Made the British First Ascent of Mount Forel via the Southern Ridge route (Used by Roche in 1938). As well as several other tops. The team of four men also continued into the previously unknown area around Schweizerland, on the Franche Comte glacier. On the way back to the coast, they performed several Lichenometric surveys in the Tasilaq Valley. 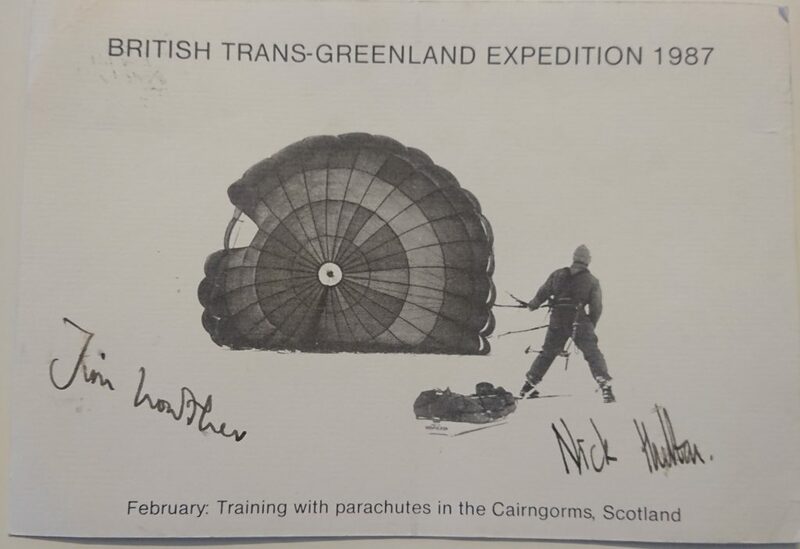 British Trans-Greenland Expedition – Jim Lowther and Nicholas Hulton. Ski and parachute-kite/skisail. They managed to travel 130km during one day with help form their customized parachute sails. 30 days. Liv Arnesen – crossed the Greenland icecap on skis, as the first woman without backup. Per Einar Bakke, Willy Gautvik and Arild Vegrim – set off on a journey from Siberia with a course for the North Pole. They crossed the Arctic Ocean to Canada’s north coast. The book “100 days crossing the polar sea” by Per Einar Bakke describes the journey in detail. Wrote history at the first female team to reach the South Pole without any other help than human power. Liv Arnesen – Made international headlines by becoming the first woman in the world to solo, without support and backup, to the South Pole. 50 days, 1200km. Rune Gjeldnes – Greenland lengthwise (86 døgn). Lars Monsen – by foot through Alaska. The first expedition consisting only of women (22 ladies) to the North Pole from Ward Hunt Island, Canada. Caroline Hamilton with others – the first 5 women to get to the South Pole as a team. Otto Sverdrup Centennial Expedition (1999-2000). Norwegian-Canadian wintering expedition led by Canadian Graeme Magor to Ellesmere Island to search for clues and remains after Otto Sverdrup’s second Fram Expedition. Arctic Ocean Expedition – Rune Gjeldnes and Torry Larsen. First crossing of the Arctic Ocean without supplies and backup. From Severnaja Zemlja in Russia via the North Pole and to Cape Discovery in Canada (109 days). Ann Bancroft and Liv Arnesen – Became the first women to cross Antarctica in 200-2001, after 91 days and 2747km on skis. 770 km from Ward Hunt Island, Canada to the geographical North Pole in 64 days, and became the first person to complete the journey without supplies and contact from outside. His book Solo: Alone & Unsupported to the North Pole (av Michael Joseph) describes most of the journey in details. Skied to the geographic south pole, 1200km from the Zumberge coast, 120km east of the traditional Hercules Inlet start point. Murray, 63, became the oldest person to reach the South Pole from the continental coast. The expedition collected $ 450,000 to the Royal Geographical Society (London). Rune Gjeldnes – The worlds longest solo-ski trip. Crossed Antarctica by skis (4804km, solo, 103 days). Cecilie Skog and Rolf Bae – The North Pole. 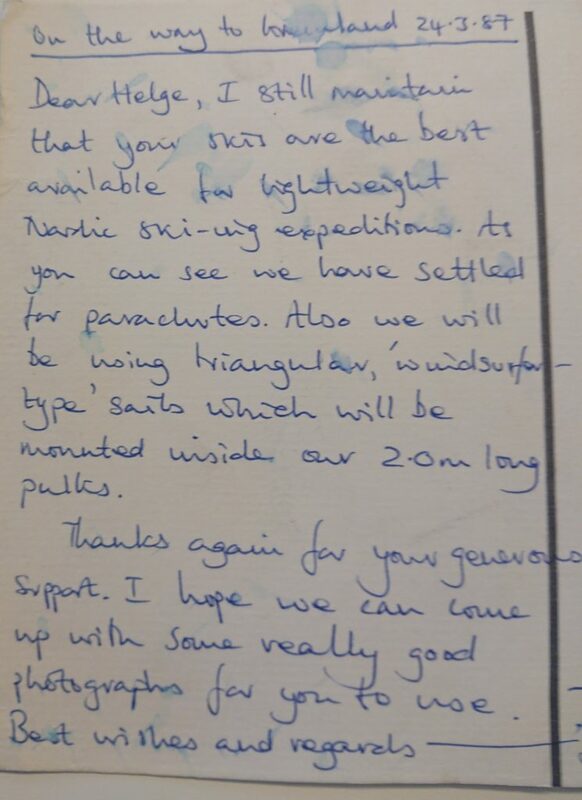 Expedition to the geographical North Pole– Craig Mathieson, also brought a 16-year-old along with him on the team. Baffin Babes – Baffin Island (80 days on skis in Antarctica, 1200km). It was made a TV-documentary and the book called “Baffin Babes – 80 days on skis in Antarctica”. The book was nominated for lots of prizes ad the documentary shown all over the world. Ann Bancroft- crossed Greenland on skis. Cecilie Skog and Ryan Waters – Became the first to cross Antarctica without assistance from Brekner Island, to the South Pole, and then to the Ross Sea. The North Pole during the summer – Cecilie Skog. Aleksander Gamme – Antarctica to ski the Hercules Inlet route from the coast of Antarctica to the Sout Pole and back again alone, a trip that took 57 days to the pole, and 87 days before finishing by the coast (2270 km later). Expedition Thule 2011 – Weisse Konturen>white contours). German Expedition to Thule, Grønland. Prosjekt Dronning Maud Land – Aleksander Gamme, Espen Fadnes, Kjersti Eide, Ingeborg Jakobsen, Jonas Langseth, Andy Kirkpatrick. 50 day multisport-exspedition to Antarctica, TV-production. Trainingcamp on Svalbard, expedition to the North Pole, to do a climate awareness production for TV. The first Canadian to ski to the south pole solo, without support and without assistance – Sébastien Lapierre. Started the expedition on 2016 november 28th and reached the pole on 2017 january 9th (42 days 5hours later). 40 days, 3000 km, 15 kites, and skisails and 15 kg chocolate. In Amundsen’s tracks to the South Pole – Astrid Furholt, supported by Jan Sverre Sivertsen. Skied the longest part of Amundsen’s original route, from Bay of Whales to the South Pole. Firs ever unassisted solo crossing of the Balkhash Lake in Kazakhstan – William Byholt. 23 days and 545 km.